New Directions Publishing Corporation, 9780811225809, 448pp. The Desert and Its Seed opens with a taxi ride to the hospital: Eligia's face is disintegrating from acid thrown by her ex-husband while they signed divorce papers. Mario, her son, tries to wipe the acid from Eligia's face, but his own fingers burn. What follows is a fruitless attempt to reconstruct Eligia's face--first in Buenos Aires, thereafter in Milan. Mario, the narrator, becomes the shadow and witness of the reconstruction attempts to repair his mother's outraged flesh. In this role, he must confront his own terrible existence and identity, both of which are bound to an Argentina he sees disintegrating around him. 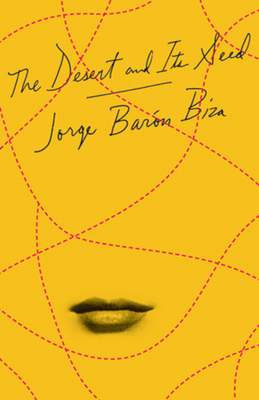 Based on a true, tragic family story, Jorge Bar n Biza's The Desert and Its Seed was rejected by publishers in Buenos Aires and was finally self-published in 1998, three years before the author committed suicide. Written in a captivating plain style with dark, bitter humor, The Desert and Its Seed has become a modern classic, published to enormous acclaim throughout the Spanish-speaking world and translated into many languages.